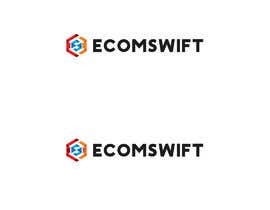 I would like a logo design for my online site, ECOMSWIFT. ECOMSWIFT is a service where I provide consulting and mentoring for eCommerce to entrepreneurs. 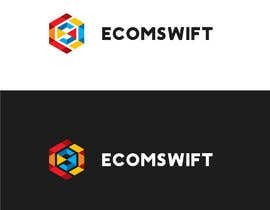 To the right of the word ECOMSWIFT (one word, all caps), there should be a small logo the size of the letters. The logo should represent "SWIFT", so it should represent speed, efficiency, quickness, and simplicity. It should be colorful, like the "winninginternational" logo. Please submit your designs and I will comment on them, and choose the winner very soon! #50, #48 , and #52 are the BEST. Please take inspiration from these and improve upon them if you can. Whoever has the best improvement of these 3 logos, will be chosen. Font should be montserrat, sifonn, or something very similar. Please try to make a cube shape, and have E and S recognizable. Colors should be very vibrant, like orange, blue, yellow, red. Logo will be to the right of ECOMSWIFT text. ECOMSWIFT will be in bold text, all caps, no spaces, and modern font. Colors should be orange, blue just like Ashik and Manuel's logos. Font should be like Ashik's (bold). DO YOU WANT A LOGO LIKE winning international LOGO ? ?